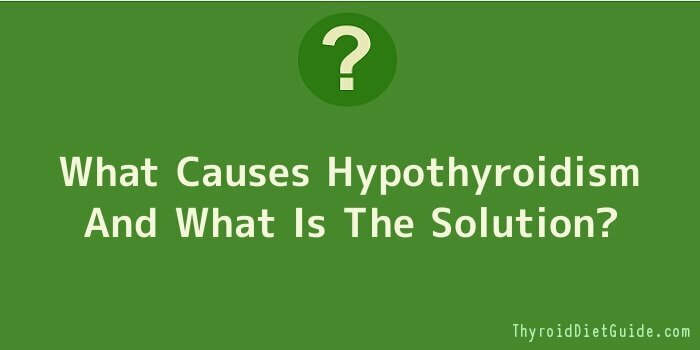 What Causes Hypothyroidism And What Is The Solution? When these hormones are not produced in the quantities needed, they can’t be distributed to the rest of your body, which results in an inability to function properly. Hypothyroidism is more common among adults, although children can get it as well. An iodine deficiency could result in reduced production of thyroid hormones, Lithium, Pituitary gland disorder, and pregnancy. Pregnant women are also tested for this condition, and steps are taken to protect the foetus in case of a positive diagnosis. Hyperthyroidism, also called overactive thyroid, is a disorder where the thyroid gland over-produces thyroid hormones. This can occur as an acute condition (happening over a short period of time) or a chronic condition (continuing over a long period of time). The condition affects about 2 out of every 1,000 women between the ages of 20-40 years old, which is 10 times the rate of incidence among men. Left untreated, hyperthyroidism can cause several medical complications to arise. The most common is thyrotoxicosis (thyroid crisis) in which the symptoms of hyperthyroidism suddenly worsen, possibly due to stress or infection. Symptoms include abdominal pain, fever, and decreased mental alertness. A person with this condition requires immediate medical attention. Other complications related to untreated hyperthyroidism include rapid heart rate, congestive heart failure, increased risk for osteoporosis, and nerve damage to the voice box. Hyperthyroidism may be treated in couple of different ways depending on the cause. Typically, the person will be prescribed anti-thyroid medications like carbimazole. Another treatment option is radioactive iodine which is typically given to older patients. Both of these treatments can cause serious side effects including hypothyroidism. A last resort option is surgery to remove the thyroid, particularly if goitre has formed. A healthy thyroid is essential to your overall health and wellness. If your treatment for hyperthyroidism has led to the onset of hypothyroidism, read our hypothyroidism treatment reviews to find all-natural products that can improve your thyroid health without the harmful side effects.